Squarebody Saloon, formerly the Goat Ranch, in Dallas Texas - bar and private event space in Dallas for private parties, corporate and special events karaoke party. Squarebody Saloon is a unique bar and private event venue created by the guys behind Bowlounge, the Goat Ranch, and the 6TicketBeer booths at the State Fair of Texas. 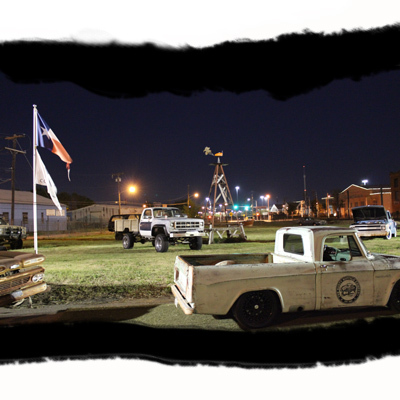 We originally designed Squarebody Saloon to be the first Goat Ranch, driving range and bar, but the City of Dallas denied us our permits to do the range. So we built this awesome cool bar and patio and still love the area so we had to figure something else out and make it happen. 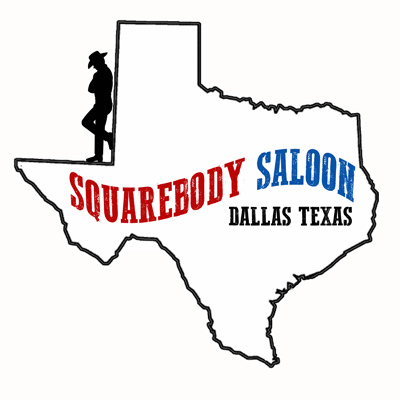 Here's how Squarebody Saloon got it's name. The name does not make a lot of sense to everyone but those that do, get it. My name is Craig Spivey and I grew up and live right here in Dallas, Texas... My son grew up loving vintage cars and trucks... Specifically Squarebodies. A Squarebody is a Chevrolet Truck, Blazer or Suburban that was built between the years of 1973 and 1991. We have built several cars and trucks together so we decided to start a business together building custom promotional vehicles, movie, and tv cars and trucks. You don't need to be a car or truck person to enjoy Squarebody Saloon. It's a great place and they are cool to look at but it's not all about cars. It's a great place to have a party and the indoor and outdoor spaces are awesome. Come and check it out and see our trucks and have some beers and great eats from our new foodtruck Squarebellies. We are located near the State Fair of Texas north gate off Haskell Ave.